Comprising four slices of perfect contemporary adult-pop of distinctly varying styles and moods, the EP opens with the bitter-sweet “Je cherche les mots” – a sad, heart-breaking song that’s all about trying to break-up, yet failing to find the right words – the clarity of Josianne’s always tender, warming vocal delivery adds further poignancy. In a similar vein, “Janvier” is another sombre, plaintive number; The bitterly cold wind of the song whistling down the Avenue De Lorimier (after which the EP is named), acting as a metaphor for a rapidly chilling romance, is arguably the strongest track here. But as hinted, it’s not all heartbreak and sorrow. “Monsieur Stock” and “Au coeur de toi” offer a complete change of emotions and momentum. The former is everything you want from a memorable stuck-in your head pop tune; all bouncy and up-tempo, punchy lyrics, all wrapped by – shall we just say quelle voix. The latter is light, frothy, an unashamed love song – sweet yet never sickly. A Parisian band namechecking a suicidal English poet who was honoured by Gainsbourg sure grabs my attention. Fierce French rock with classic chanson vibes. Bashung backed by Arcade Fire. Tindersticks on crystal meth, anyone? They count Television, Suicide and Serge G. as influences, when I watch this clip I feel the same excitement way back when I first heard dEUS. Feu! Chatterton are fans of poets like Baudelaire and Aragon, and they dress like dandy’s, with suits and thin moustaches. Suave. More on Soundcloud. Nice French article here. Live radio session here. Great discovery by Tess from Het Chanson Offensief: Dutch trio Mannekijn. Two of the girls, Oukje and Camilla got to know each other via The Kyteman Orchestra (a big group of musicians led by producer Colin ‘Kyteman’ Benders, playing music bordering on jazz, impro, hip hop and even classical), pianist Vera joined later. Oukje sang in various langauges during her classical training, French strikes her as a very poetic language and one that bridges the gap between the days of yore and the modern age. Mannekijn (Old Dutch word for ‘Little man’) entered the Concours the la Chanson competition in Holland, and sang a version of La Chanson de Vieux Amants (Brel) and a great rework of Stromae’s Papaoutai, shown below. Love those sweeping strings, it’s just as rousing as the original version. As I understand it from the little interview, Mannekijn wants to sing in Dutch, not in French, but this version will stay on the setlist for a while. It’s probably safe to say that Montreal duo Forêt’s 2013 eponymous debut album was incredibly (well reviewed) and garnering award nominations from Quebec industry associations ADISQ and GAMIC. And now Émilie Laforest and partner Joseph Marchand are back with “Un secret”, available as a free download via bandcamp and which serves as a teaser for the band’s second album that the pair are busily working on in the studio. Once again, the song paints a dark and disturbing aural landscape, yet one that is at the same time unnervingly reassuring and comforting – walking as does the tightrope between our subconscious dreams and nightmares. 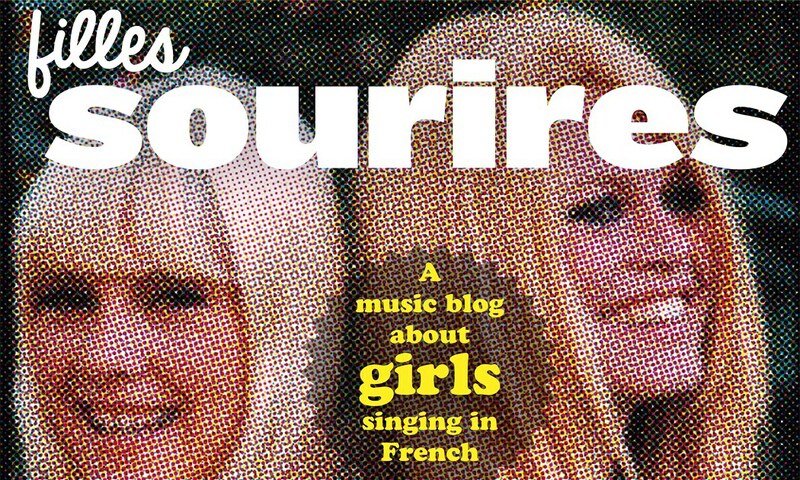 Yes, Marie-Pierre Arthur, star of many appreciative posts on this blog, teams up with one of Canada’s most prolific rock bands, Monogrenade. The result is here, and downloadable for free! Warm summer evenings mixed with cool jazz. Throw-in a few French Chansons with fresh arrangements and add some re-vamped Django Reinhardt classics. What’s not to like? That’s the premise of Eva Sur Seine, a collaboration of Dutch musicians, the jazz trio the Thomas Baggerman Trio and Chaunteuse Eva Scholten. The foursome, whose repertoire comprises not only French Chansons and Jazz standards, but also contemporary songs as well as the aforementioned reworking of Django Reinhardt, released their first eponymous EP last year and followed up with a collection of their take on some Django Reinhardt standards, “Singin’ Django” earlier this year. Their collaboration has been incredibly well received and the band are currently regarded as one of the most promising talents off the burgeoning Dutch jazz scene. Here’s a video of their take on Charles Aznavour’s “Je me voyais déjà” – it’s very enjoyable and makes me yearn for a trip to one of those renowned European jazz festivals, especially with Eva moonlighting in the vocal quartet YesSisterJazzSister. Official Music Video – Je Ne Le Savais Pas – Marianne Dissard – Album ‘The Cat. Not Me’ (2014) from Marianne Dissard on Vimeo. Happy Bastille-day! And to celebrate Quatorze Juillet, here’s the new single of the guardian angel of this blog. 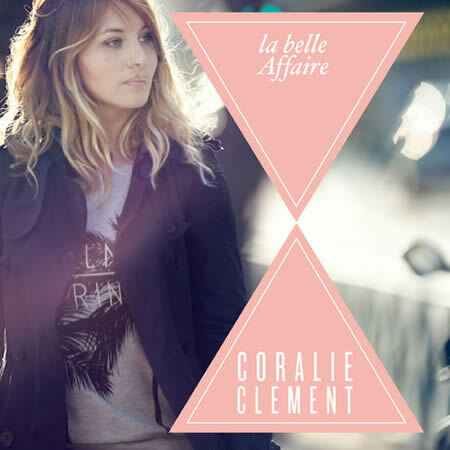 October 6 is the day every real Filles Sourires-fan should mark, ’cause then the new Coralie Clément-album drops. On it, she duets with her brother Benjamin (a reprise of A La Longue, from the HOME-album), and she obviously took some notes of her big bro while writing this new, reggae-tinged single.